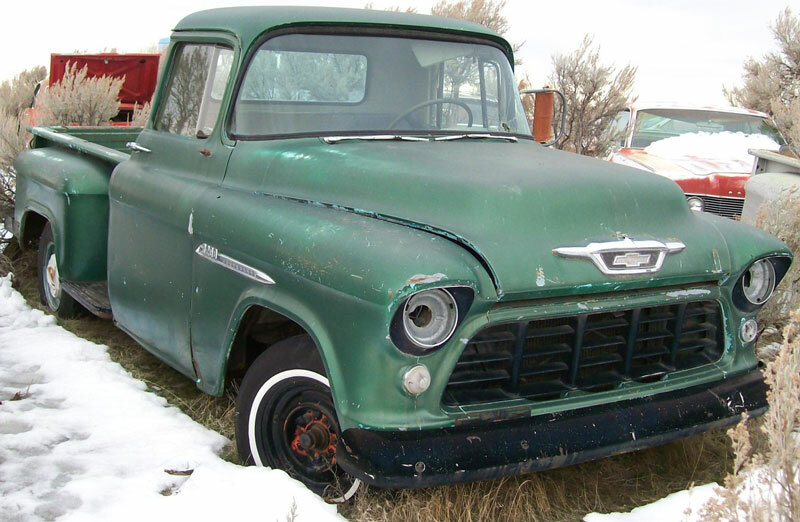 This Ocean green 1955 Chevrolet 2nd Series 3200 1/2 ton LWB commercial Stepside pickup is solid and complete classic truck body and chassis ready to be restored or customized. There are small dents in the body and box. The headlight trim is missing. The left parking lens is gone. The hood emblem badge is gone and the sheet metal is cut. The windshield is broken. The antenna is gone. The truck has add-on trailer mirrors and the right one is missing. There are stock side mirror screw holes in the doors. The left front fender badge is gone. There is rust in both front fender tails. The left door is sprung and the sheet metal at the seam is bent. There is a dent in the lower left door. The front of the left rear fender is dented and torn. 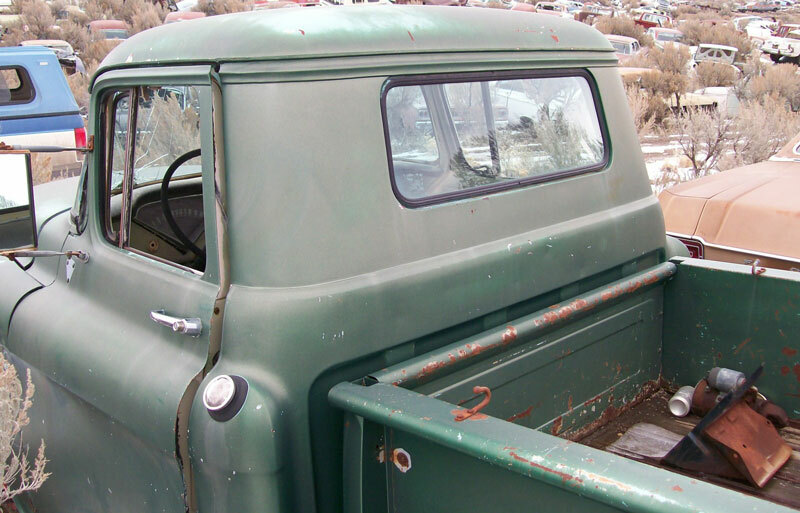 Both lower back cab corners are rusted. There is a bullet hole in the left front box side. The box has add-on tie down brackets. There is a small dent in the back of the cab top. There is a dent in the right rear quarter fender. It has a heavy duty rear bumper. The box is good and there are some small dents in the tail gate. There are some bolts holding the right side of the tail gate together. 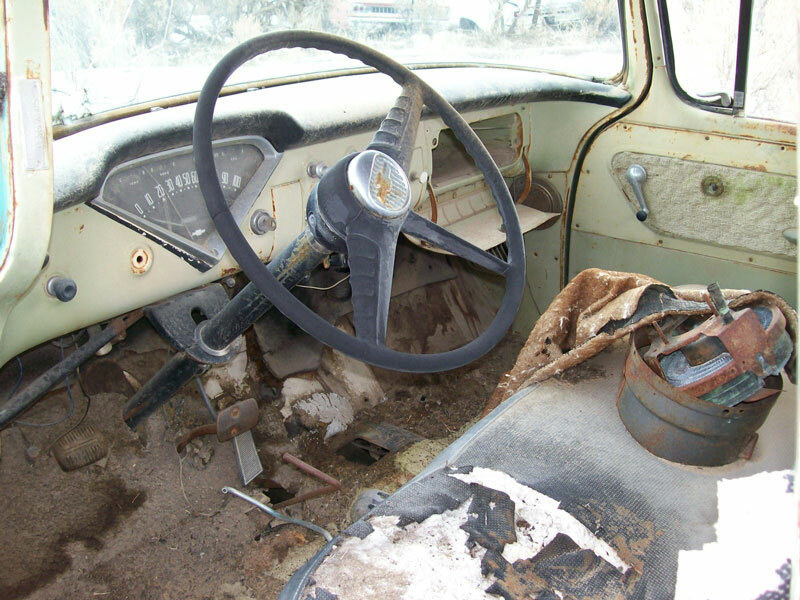 The light green interior is all there. The seat is black. The door handles are gone. The wiper control is missing. The gauge glass is broken. The radio is gone. Speakers are installed in the side kick panels. The Pontiac V-8 shown does not come with the truck. There is no transmission. 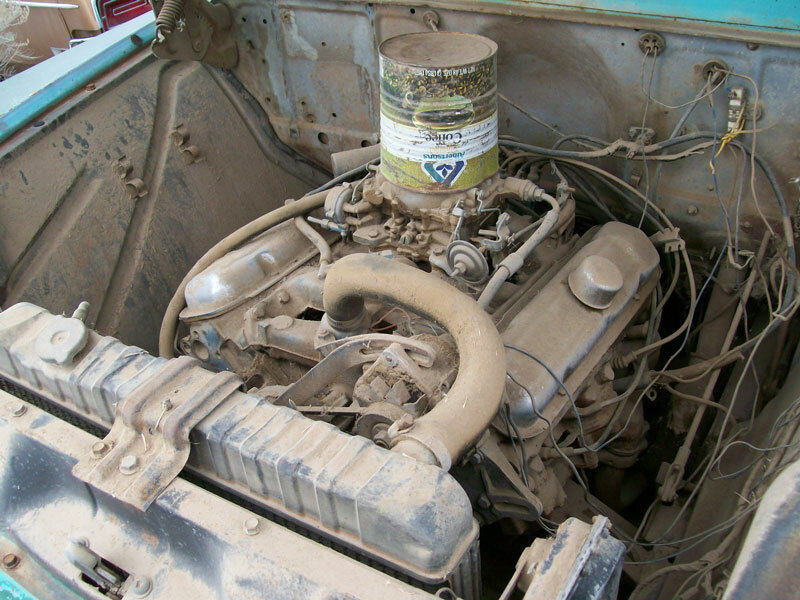 Don't miss this opportunity to restore or customize a desirable 55 Chevy pickup.